The Passover is a spiritual point of contact for you to receive God’s unprecedented miracles of healing, prosperity, deliverance, and restoration. Beloved, take hold of the power of the blood that is available to you through the death and resurrection of Jesus Christ, and receive your Passover blessings now! Step out in faith, and step into victory in your life and circumstances. God is faithful and will keep His promises to you, and will release a supernatural provision of wealth, health, and wholeness in every area of your life. Partner, God has directed me to sow a second Passover gift into your life. You must have the dynamic booklet, Palm Sunday to Easter. YOU NEED THS TEACHING! 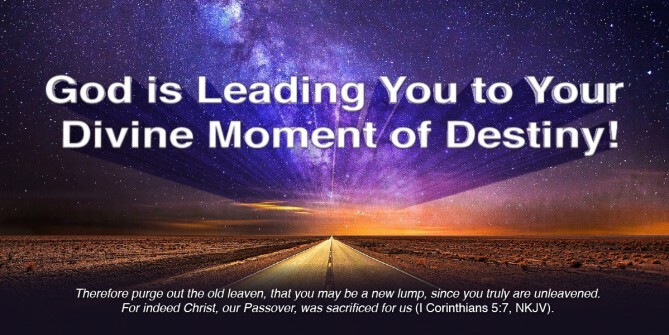 This message will DRAMATICALLY EXPLAIN to you the events of the final week before Jesus was crucified as your Passover Lamb. Draw closer to the Lord and study His sacrifice for you. Partner, the Holy Spirit has commanded me to release this anointing over your life! Now is YOUR TIME for blessing and breakthrough like never before! Only believe God’s prophet and receive your miracle. The key to receiving your miracle is to obey the Word of the Lord through His servant. Don’t delay! Time is of the essence! Receive your Passover blessing now by sowing your seed! This is the time of God’s unprecedented miracles of healing, prosperity, deliverance, and restoration. If you already sent an offering for Passover, take another step of faith and sow sacrificially again for a SUPERNATURAL Passover MIRACLE blessing! When you sow, as God’s ordained prophet, I will present your offering to the Lord, and release God’s Passover blessings for you. With an offering of £20.00 or more, you will receive both the booklet and the fragrant Passover anointing oil (a symbol of the Holy Spirit), which allows you to anoint EVERYTHING that needs God’s miracle touch! Bring the Lord your very best, sacrificial offering. Your Passover offering must be your very best! It must be without blemish, like the Passover lamb … without spot or wrinkle. Whatever God requires, step out in faith and be obedient. Right now, the Spirit of God is leading you to give your very best offering … make it extravagant … sow your very best … give the Lord your most precious gift! Beloved, don't think I've forgotten about the troubles in your heart! I want to hear your most urgent prayer requests that you are asking God for ... share them with me, and together we will pray during this Passover season! Step out in faith to give your extravagant Passover gift! I open up my heart to give You my very best offering … just as the people of Israel gave their perfect lamb. I surrender my life and all that I am into Your hand for tremendous miracle breakthrough … for the glory of Your name! Receipts for donations of less than £5 will be issued upon request.